Will the Next iPhone Be the First Phone With Optical Zoom? 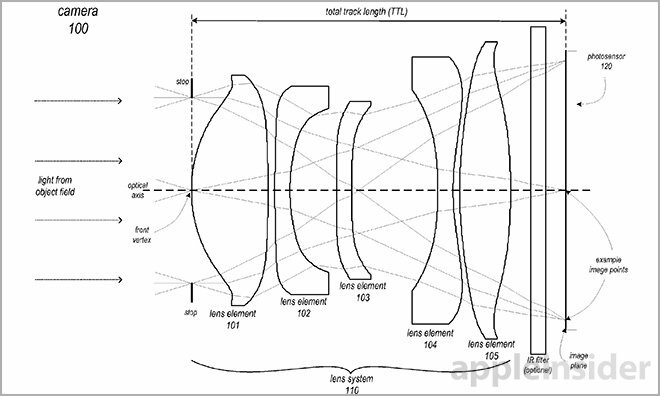 First reported by AppleInsider, Apple has been working on a patent implementing the potential for both wide angle and telephoto lenses into their phones. In a post earlier this week titled "Types of Digital Cameras Explained, What’s the Difference? ", we detailed camera types from cell phones to large format cameras. The first outstanding feature lacking in cell phone cameras is the ability to optically zoom or even have a prime telephoto focal length. A camera or lens that features an optical zoom, means that physical lens elements and/or groups are internally moving, changing the focal length. An image captured in this manner uses the full capacity of the camera's sensor to capture a more narrow field of view, giving you a zoomed image. A digital zoom is nothing to brag about, in fact it is hardly a feature at all. A digital zoom is when a camera's processor simply enlarges your normal non zoomed image. The picture quality from zooming in on your iPhone is the same as if you take an image without zooming, and then crop in on it later. So while optical zooming and digital zoom seem similar by they name, the results in image quality of the two really do not compare. Can You Fit a Zoom Lens into an iPhone? Probably not. At about 7mm thick, the iPhone likely has no room for more moving lens elements. If Apple were able to pull this off, I imagine the small change in focal length possible would not be worth the trouble. With all the requirements for a zoom lens considered, it's probable the answer lies in a Dual Lens System, that's actually not a zoom at all.Rumors of Apple working on a dual lens system first came out late last year. Suspicions are that it may first be seen in the iPhone 6s if not the iPhone 7. The secondary lens will likely be a fixed telephoto focal length around 50mm with a slightly higher aperture ratio than the current f/2.2. Current pixel size on the iPhone sensor is 1.5 µm. The patent calls for use of sensors with 1.2 µm diameter pixels or smaller. 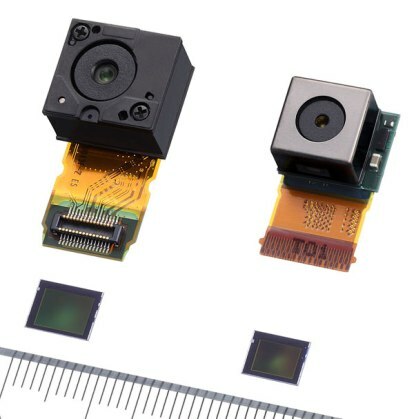 A secondary sensor matching the megapixel resolution of the first, but with smaller pixels, means an overall smaller sensor. Smaller sensors mean larger crop factors, giving images lenses telephoto characteristics by narrowing the field of view. Doing nothing more than taking the existing iPhone 6 camera system and shrinking the pixels by 0.3 µm would give the effective focal length of about 43mm compared to the current 29mm. With a slight change in optics and the reduction in sensor size, it's very possible that the new iPhone will feature a fixed 50mm lens in addition to the familiar wide angle 29mm lens. Looks like we're going to need a longer selfie stick!